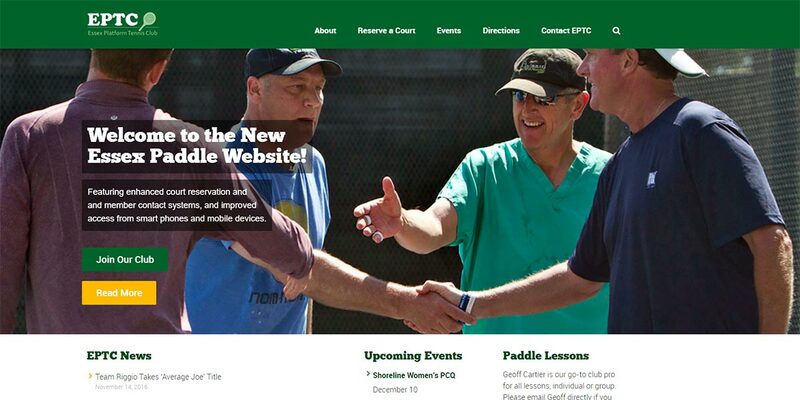 Essex Platform Tennis Club (EPTC) was established in 1974 as a not-for-profit paddle tennis club, governed and operated by its shareholders and members. The club opened with two courts and a warming hut, and now features four courts, improved grounds, and a much-improved and expanded warming hut. Launched in September 2016, the WordPress website is built around a graphically rich and responsive design, include a more sophisticated court reservation and membership management application.